At our Relais you will enjoy the tiny luxury of a luxury multi-purpose room. 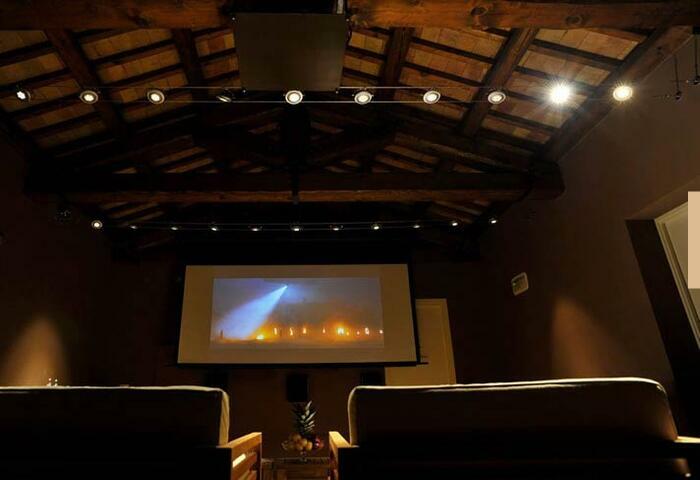 Situated in a little house outside of the hotel and made out of wooden beams and stony walls, this is our Gecko Home Cinema. MK amplifiers are designed for this kind of environment. With high-powered satellite loudspeakers, they do not produce bass and for this reason they can be positioned on or even in the walls with no impact on their performances. 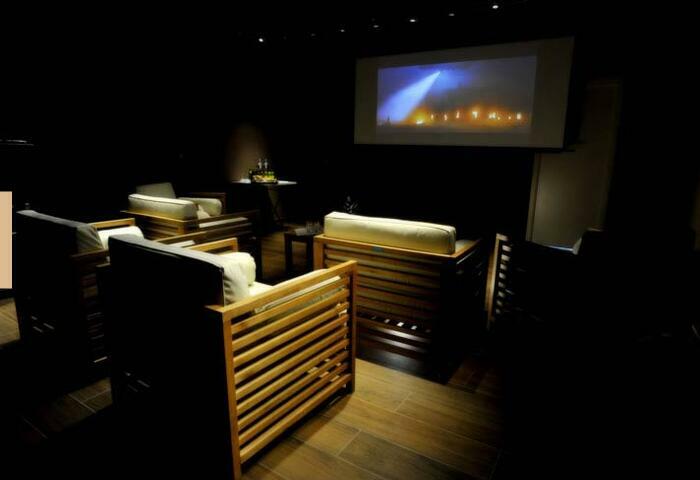 Our most popular home-cinema system uses the same loudspeakers as the main movie directors when creating their own movies. 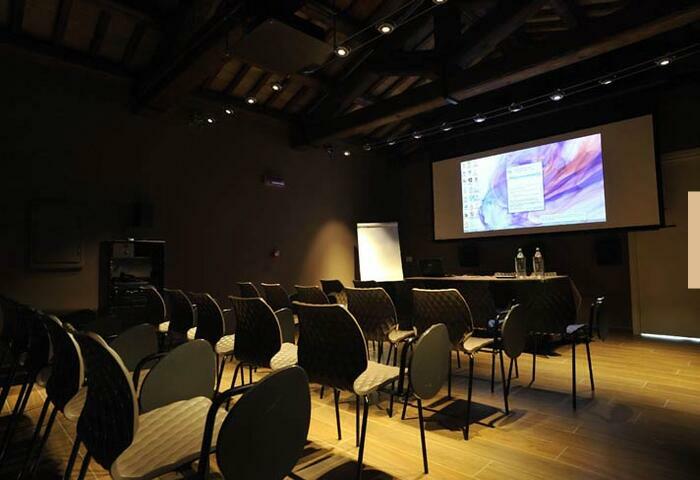 The video projector Sony VPL HD has been chosen for its high brightness, color accuracy in the reproduction phase. The cinema-size screen is a key choice in a cinema space, this is why we chose Seymour as its highly reflective material do not highlight the plots on canvas which would otherwise be visible.